Understanding materials, their properties and behavior is fundamental to engineering design, and a key application of materials science. Written for all students of engineering, materials science and design, this book describes the procedures for material selection in mechanical design in order to ensure that the most suitable materials for a given application are identified from the full range of materials and section shapes available. 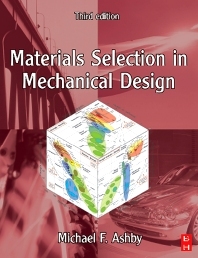 Fully revised and expanded for this third edition, Materials Selection in Mechanical Design is recognized as one of the leading texts, and provides a unique and genuinely innovative resource. • New chapters on topics including process selection, material and shape selection, design of hybrid materials, environmental factors and industrial design. • Reader-friendly approach and attractive, easy to use two-color presentation. 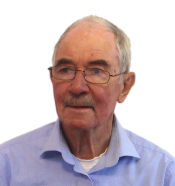 • The methods developed in the book are implemented in Granta Design's widely used CES Educational software. Materials are introduced through their properties; materials selection charts (now available on line) capture the important features of all materials, allowing rapid retrieval of information and application of selection techniques. Merit indices, combined with charts, allow optimization of the materials selection process. Sources of material property data are reviewed and approaches to their use are given. Material processing and its influence on the design are discussed. New chapters on environmental issues, industrial engineering and materials design are included, as are new worked examples, and exercise materials. New case studies have been developed to further illustrate procedures and to add to the practical implementation of the text. Undergraduate and graduate students majoring in engineering disciplines including materials science, mechanical, aerospace and automotive engineering, engineering design and industrial design. The book is also suitable for and used by practicing engineers, researchers and designers, and industry-oriented short courses. Thanks for leaving a review, Antonio! We will be sure to forward your positive feedback to the editorial. It is THE book !